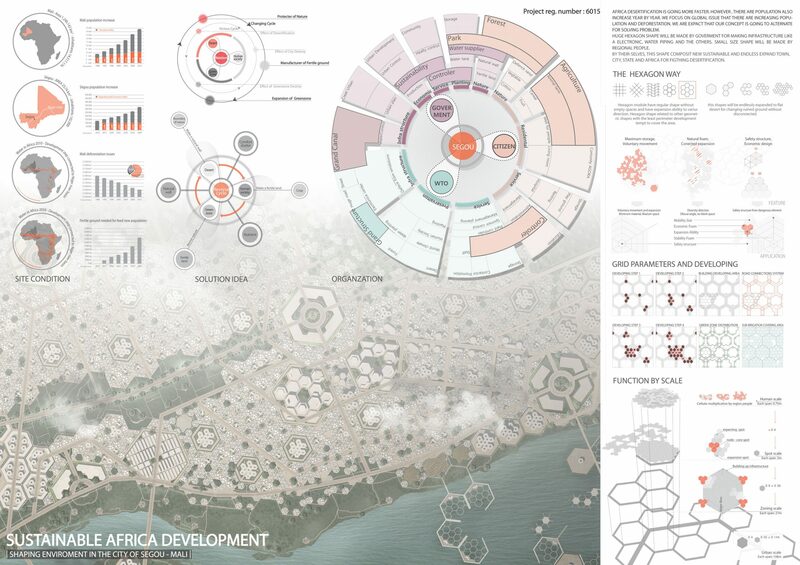 Sustainable City in Africa | gURROO - A new generation of innovative minds. We deliberately think project to huge scale environmental issue. If we consider architecture to dimensional evolution, this dimensional create things have ability of endless expand. How can adapt that for solving and helping environmental issue? What is the potential possibility of dimensional expanding? 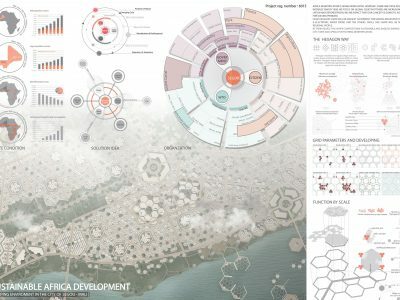 The economic and social background in which all the architectural proposals developed for African countries stand is a long and not yet completed path. In Africa, human community and place are identified and the breaking of this relation, which is the base for continuous care of the environment, happens when community bonds are broken. It is a human crisis that affects the territory and the slums of the third world are a proof of it. In extreme circumstance, how can make a plan for the future world against desertification? 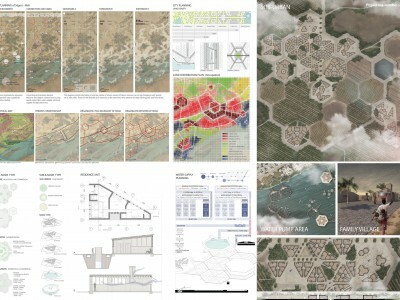 We suggest hexagon module for solving global desertification problem. Our project is based on unit scale evolution motivated nature form. From one small module until sustainable urban and region of recovery nature, huge scale is consisted by government. Small scale is consisted by regional people their-selves. Expand breath of nature to desert by supporting water, electronic and another infrastructure. 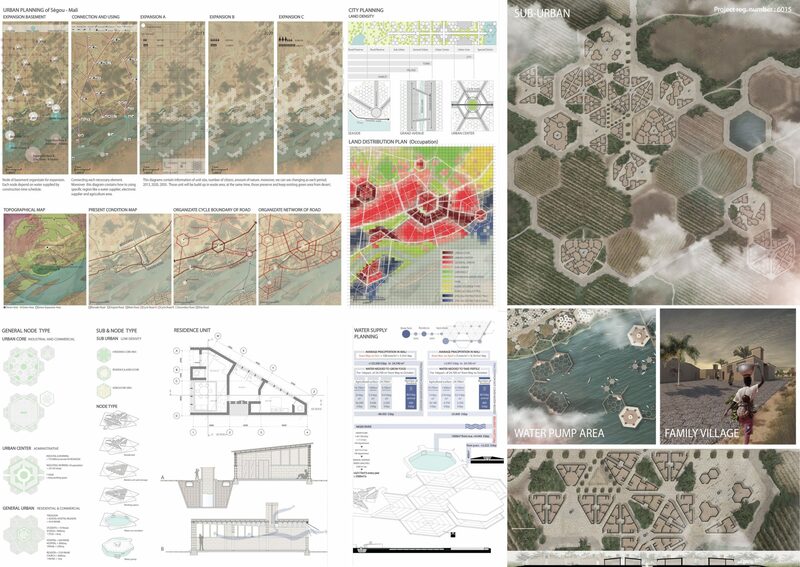 These shapes provide sustainable and endless expanding city against desertification.